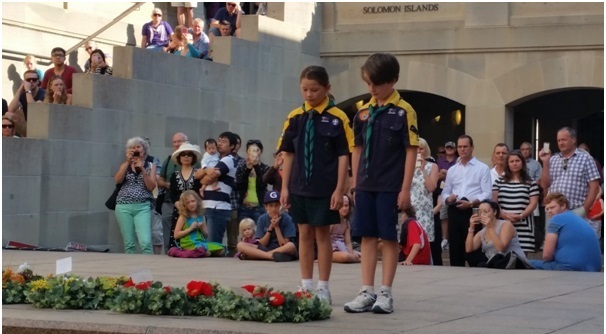 Yowie Pack went to the War Memorial because our topic this term is World War 1. First up we went down Anzac parade looking at all the memorials. All of them had a different meaning which made it very interesting to learn about different parts of the wars. Then we came back to the War Memorial. We went to the tomb of the Unknown Soldier. It felt sad to know that most of the soldiers weren’t known. 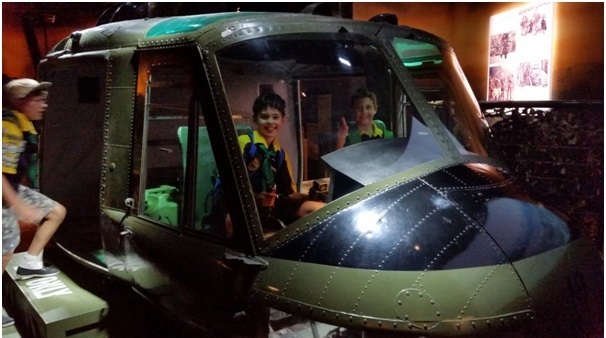 Then we went to the discovery centre and had a play around with cool stuff in there like a helicopter which you can drive. Then there was a trench which had a trench foot machine which when you put your foot in there it looks like you have trench foot. Then we went to the hall of airplanes. There were so many different styles of planes in there including Japanese planes, German planes and Australian planes. Then we went outside to have afternoon tea and Sienna and I were picked to do wreath laying at the War Memorials closing parade. It felt very special to do this. The closing parade was peaceful and calm.